Due to retaliatory steps, Pak-based terrorists are now desperate and afraid, the Uttar Pradesh chief minister asserted. Stressing that India can remain safe and secure only under the leadership of Narendra Modi, Uttar Pradesh Chief Minister Yogi Adityanath on Wednesday said terrorism in the country had grown due to the "policy of appeasement" adopted by the past Congress governments. The NDA government is determined to wipe out the menace of terrorism with active support of all, the chief minister said while addressing a Bharatiya Janata Party (BJP) meet in Bhawanipatna town of western Odisha. 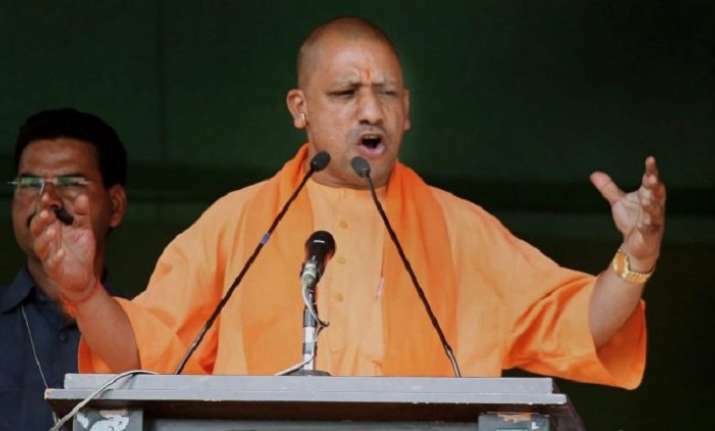 "Bold steps taken by the Centre after Pulwama terror attack prove that Mod-led BJP Government can give befitting reply to Pakistan-sponsored terrorists and thwart their evil designs," Adityanath said. The UP chief minister slammed previous governments and said earlier, forces were asked to wait till terrorists fired, but after the BJP came to power security forces were clearly told not to wait as terrorists do not wait for anyone. The country can remain safe and secure only under the leadership of Modi, he said, adding security forces have made it amply clear that any one flaunting gun in Jammu and Kashmir would invite only death. He appealed to the people to ensure that Modi is elected prime minister for another term in order to keep the country secure.